KCCA FC are believed to be in the advanced talks to sign former Vipers striker Musa Esenu. Esenu who has had a troubled stay at Kitende ever since he completed a switch from Soana in 2016 is currently on the hunt for a new side. He is now a free agent after receiving a release from FUFA citing a breach in contract from his former employers. The striker who joined Vipers at a fee believed to be in the region of Shs 30 Million failed to tie down a starting spot in the team from day one. 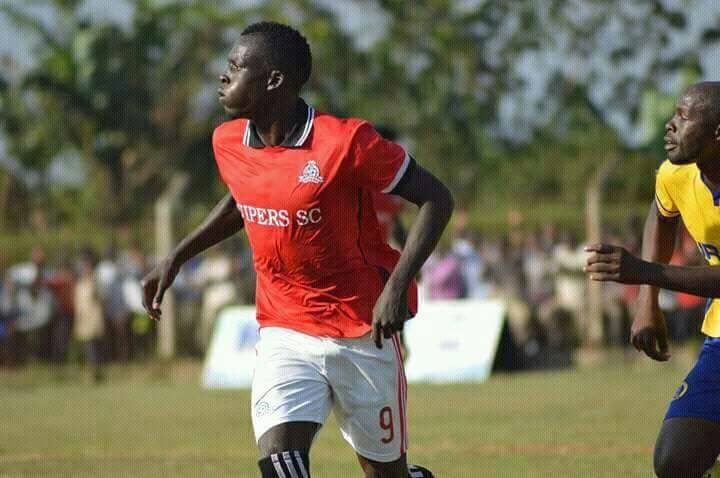 He spent the entire last season on loan at Kirinya Jinja SS where he scored nine league goals and a handful of assists as the Jinja based side finished fifth. With KCCA FC lacking in the striking department following the departure of Muhammad Shaban and Derrick Nsibambi this year, Esenu will surely be hoping he can revive his career at Lugogo as his only competition comes in the names of Patrick Kaddu, another player who is just shaping his future. Should the negotiations materialize in the course of the near future, Esenu is likely to put pen to paper on a 2 year contract with the Uganda Cup holders.